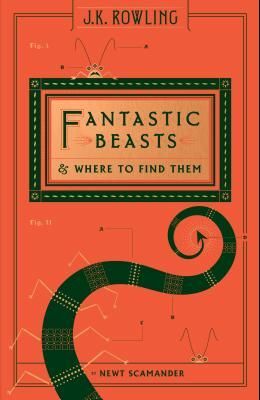 Fantastic Beasts and Where to Find Them , Newt Scamander's classic compendium of magical creatures, has delighted generations of wizarding readers. Now, in this updated edition with a new foreword by Newt himself and the unveiling of six beasts little known outside the American wizarding community, Muggles too have the chance to discover where the Thunderbird lives, what the Puffskein eats, and why shiny objects should always be kept away from the Niffler. Proceeds from the sale of this book will go to Comic Relief and J.K. Rowling's international charity, Lumos, which will do magic beyond the powers of any wizard. If you feel that this is insufficient reason to part with your money, one can only hope that passing wizards feel more charitable if they see you being attacked by a Manticore.